Deutsche Bahn Mobility Logistics AG (Deutsche Bahn) and JSC “Russian Railways” (RZD) Center for International Logistics and Supply Chain Management in SPbU Graduate School of Management is a unique joint effort among the Russian and German main railway companies and the universities. 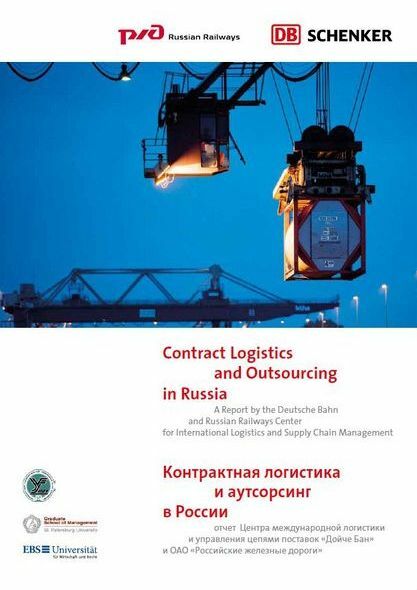 The Centerwas formed through the sponsorship of two largest railway companies according to their joint decision to support applied research and development of educational programs in the field of international logistics and supply chain management in Russia. During 9-th Russian-German Forum “Peterburg Dialogue” a General Agreement on the establishment of the Center was signed (July 14-16, 2009, Munich). The objective of the CIL activity is education programs and research development in logistics and supply chain management area in order to improve the quality and competitiveness of international transport and logistics in European and Russian markets. The CIL is financially sponsored by DB Mobility Logistics AG and JSC “Russian Railways”. 16.12.2011 International Conference "Research and Education in Logistics and Supply Chain Management"